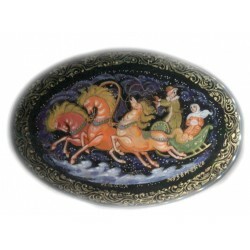 PALEKH There are 140 products. 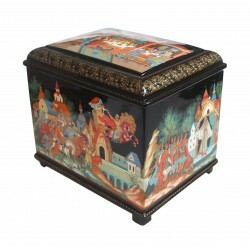 This box has been painted by a talented Palekh artist,Kruykova Valentina. 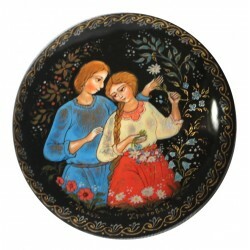 Talented Galina Kuzmenko from the village of Palekh is the artist who painted this stylish brooch. 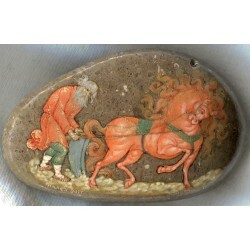 The brooch shows a traditional scene of speeding winter troika. 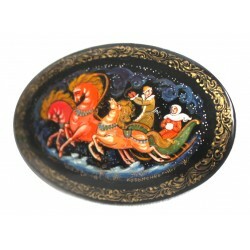 This brooch has been painted by a talented Palekh artist of Galina Kritova. 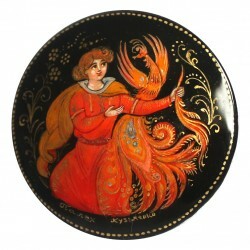 This detailed brooch was painted by a talented Palekh artist Galina Kritova. 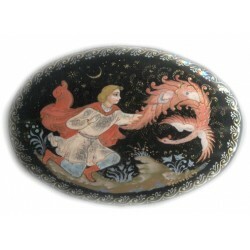 This brooch has been painted by a talented Palekh artist of Galina Kuzmenko. 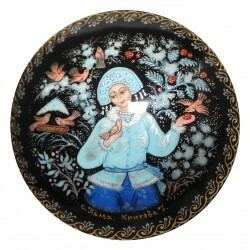 This splendid Snowmaiden Brooch was painted by talented Galina Kritova from Palekh. 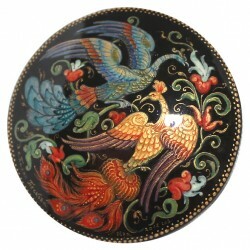 Talented Galina Kuzmenko from the village of Palekh is the artist who painted this stylish brooch. 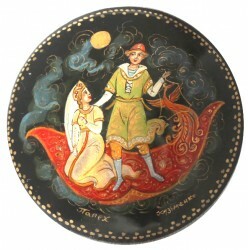 This interesting composition was painted by a well-known and established artist from Palekh, Anna Kamanina. 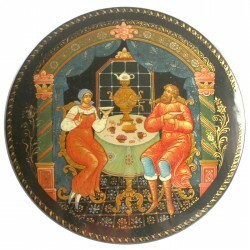 Maria Gurilyeva is the Master who has painted this tremendous and very detailed composition. 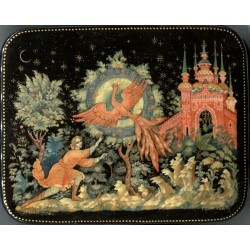 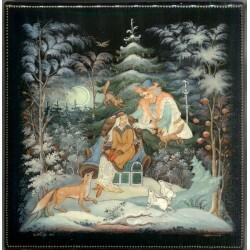 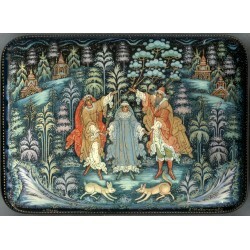 The box features scene from the tale "Vasilisa the Beautiful". 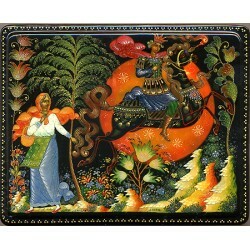 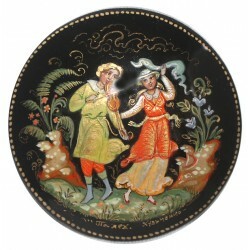 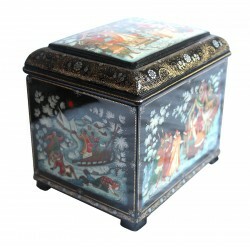 This traditional Palekh box was painted by Ivan Beketov. 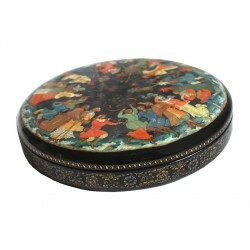 This box was painted by the talented Palekh artist Nebogatova Yevgeniya. 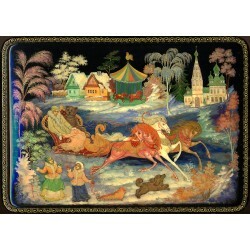 This five-sided casket shows several episodes from the popular Russian fairy-tale "By the Pike's Will" or "Emelya and the Magic Pike". 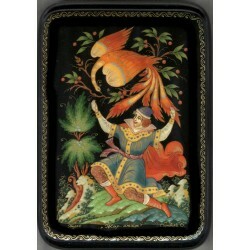 Oleg Solovyov of Palekh is the artist who painted the composition on this box.